← Trigger from Only Fools and Horses says “Don’t attack Iran”. Final PSC protest against Veolia at Natural History Museum. 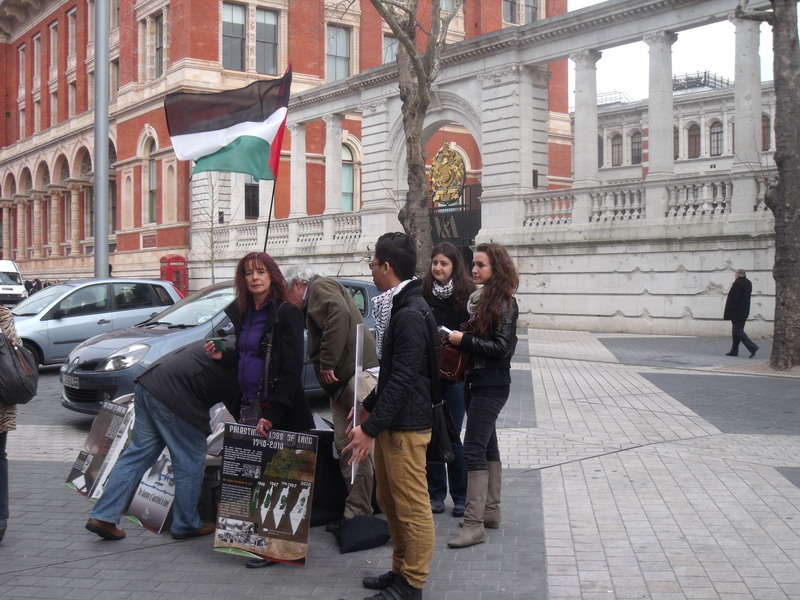 Yesterday saw the end of the Environment Wildlife Photographer of the Year Exhibition sponsored by Veolia at the Natural History Museum and so Saturday was the Palestine Solidarity Campaign’s final protest against Veolia. 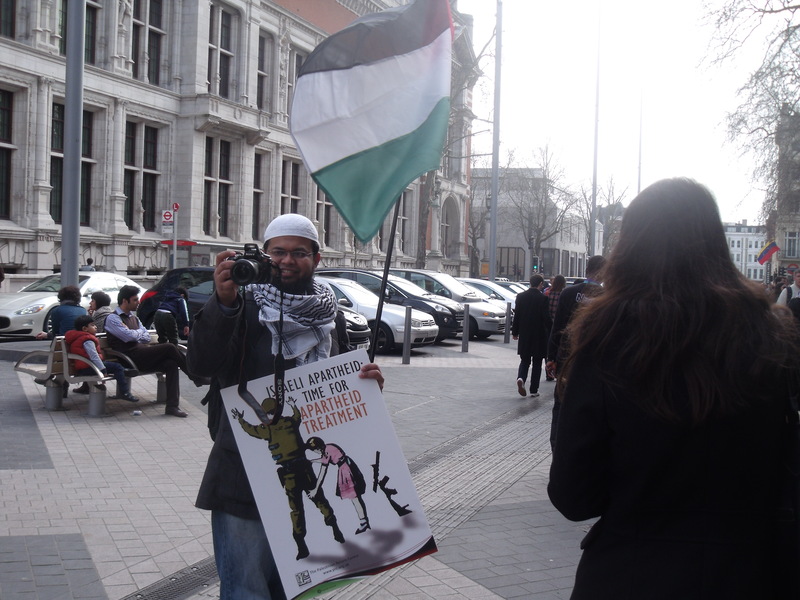 PSC activists have been protesting against Veolia’s ongoing projects in Israel eventhough Veolia is doing a great job improving transportation links there, including for the local Arab population. 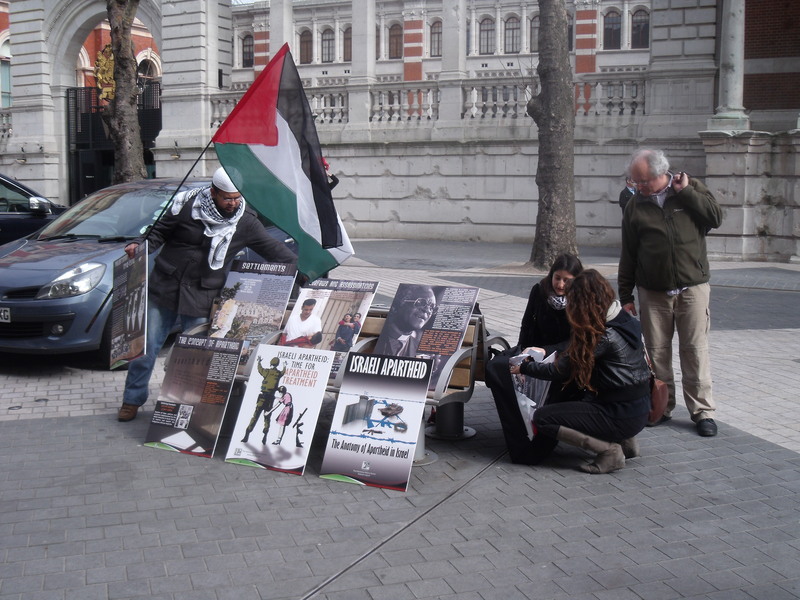 The PSC is a slick, well-funded operation producing thousands of anti-Israel leaflets and signs. Its ultimate aim is the destruction of Israel. 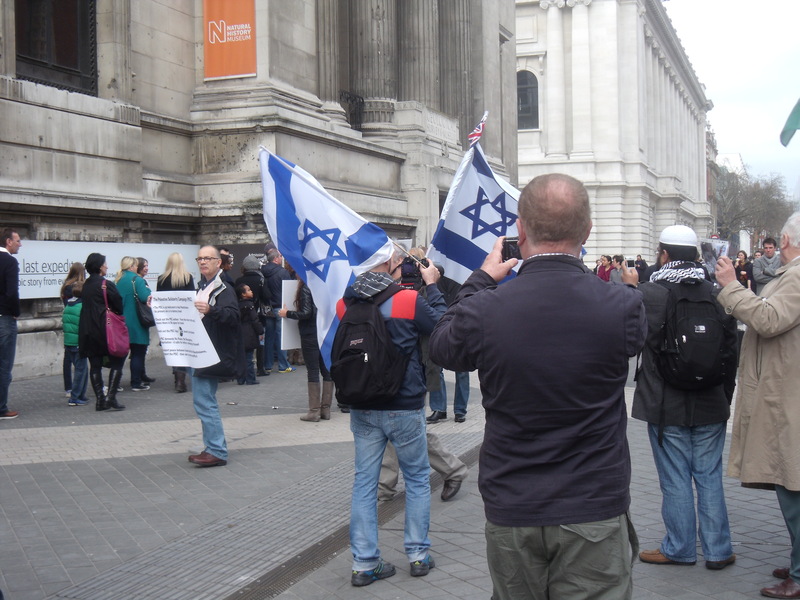 On Saturday there were about 15 anti-Israel activists. 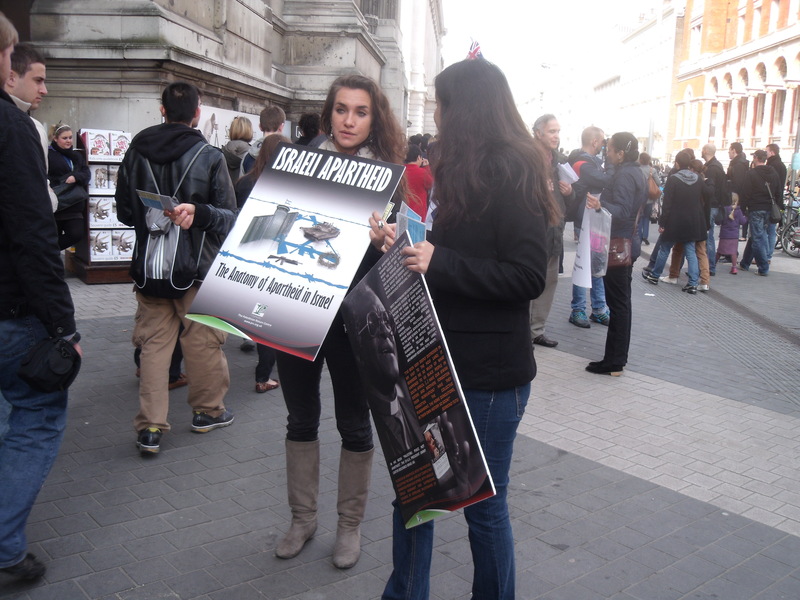 The four pro-Israel counter-demonstrators came with a small bundle of leaflets, one sign and a couple of Israeli flags. 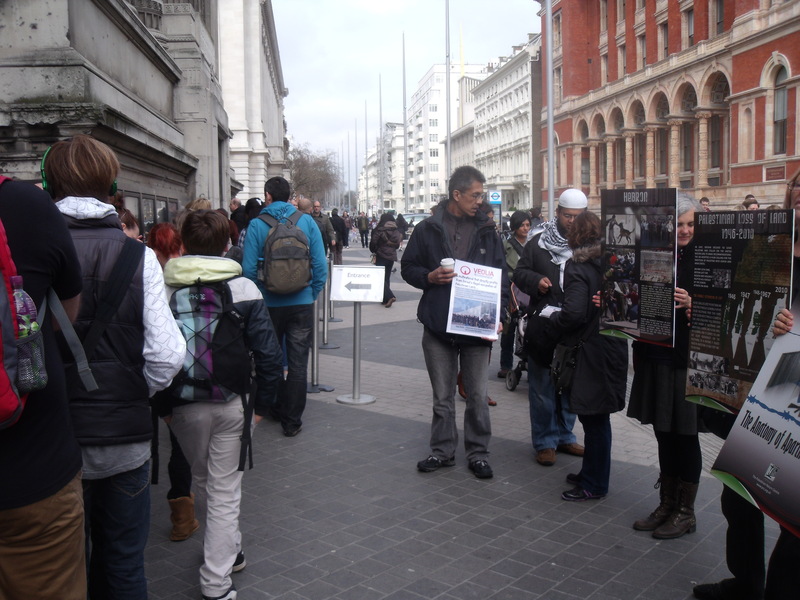 As people queued for the museum the PSC activists handed out their leaflets and it was sad seeing some listening with sympathy to what they were being told about both Israel and Veolia. 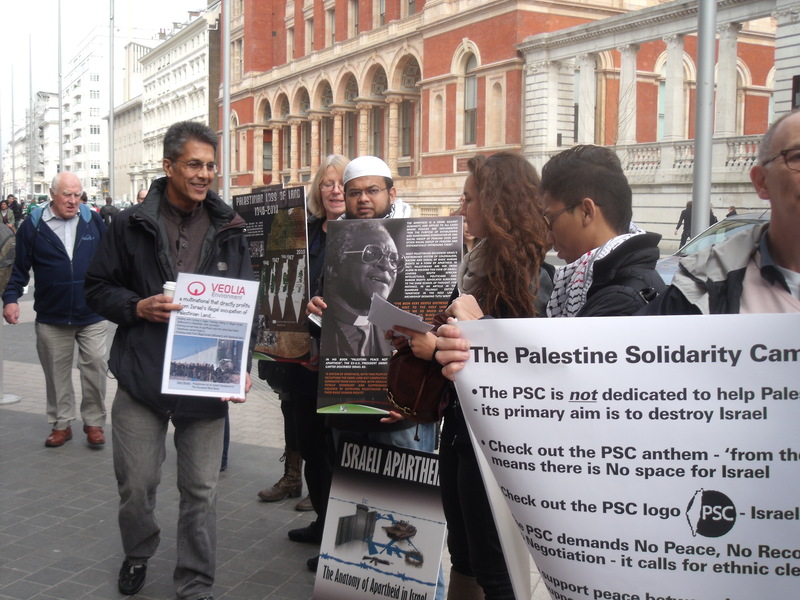 As an aside you sometimes overhear small snippets about the lives of these PSC activists. 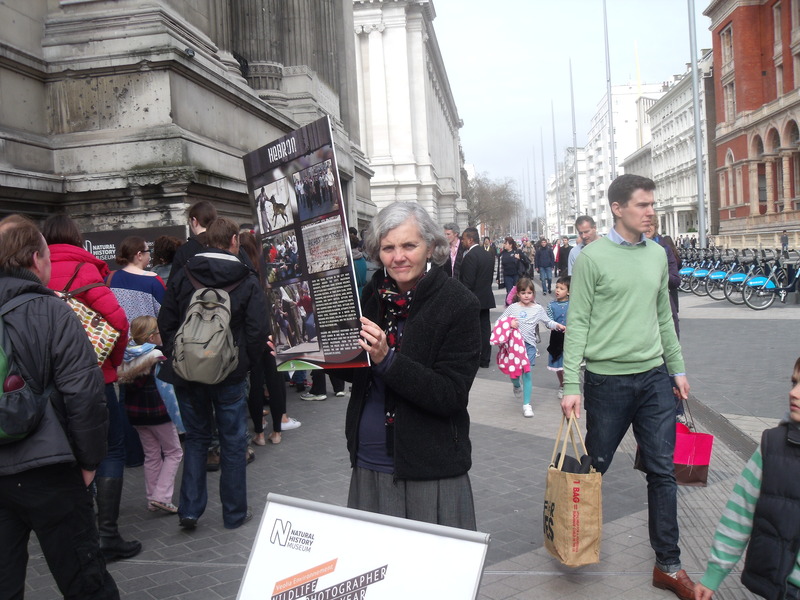 The woman pictured above said she’s an Arsenal season ticket holder, which explains her absence when Arsenal are at home. 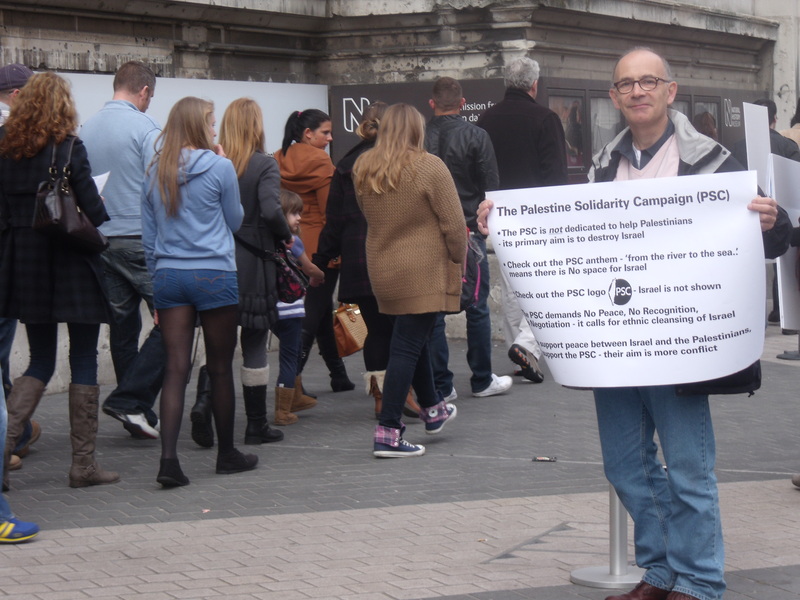 Another PSC activist is a Chelsea season ticket holder, which explained his absence on Saturday. 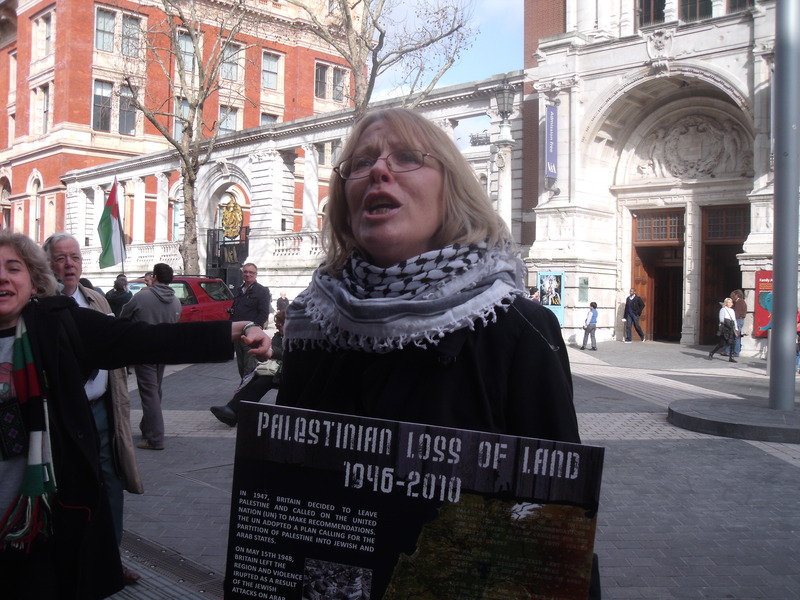 Without wishing to cast aspersions on Gooners the fact that when this woman is not at the Emirates Stadium she spends her time holding up horrendous placards in public with the ultimate intent of destroying the Jewish state is hardly evidence of well-roundedness. But, as they say, each to their own. This entry was posted in Israel, UK and tagged Arsenal, Chelsea, Environment Wildlife Photographer of the Year Exhibition, Israel, natural history museum, palestinians, PSC, veolia. Bookmark the permalink. 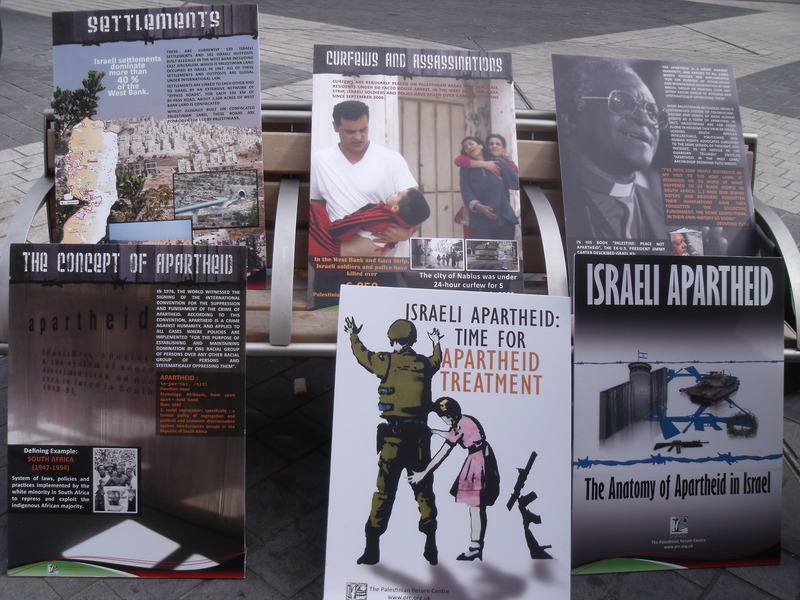 We note that on one of the banners consists of an assortment of posters, one of which seems to include the hand of a young lady Alice In Wonderland look-alike, making its way towards an IDF soldier’s unmentionables. Golly! They start young these days. Might I suggest a competition for the best caption? Furthermore Abu Bakr had already converted to Islam and was already protecting Mohamed in accordance with the principle that once one has “submitted” to the will of Allah one is part of one umah (community). And if the marriage was meant to maintain the alliance after Abu Bakr’s death, then it was unnecessary because Abu Bakr outlived Mohamed and went on to become the first caliph. Any way you look at it, the “political” reasons for 53-year-old Mohamed marrying nine year old Aisha do not stand up to scrutiny. So starting young is spot on! We shouldn’t be reticent about disparaging the gooners – as long as do so for the RIGHT REASONS. Whilst it would be wrong to hate Arsenal simply because their name is derived from an Arabic word (after all we don’t condemn algebra, let alone alcohol) there IS strong circumstantial evidence that Osama bin-Laden was an Arsenal fan. Now of course, they may have many decent fans too – and I have no wish to alienate Prince Harry- but we do have to draw the line somewhere! Besides, if we are to be sincere when we raise our voices to sing “kahol velavan hatseva sheli” then should we not support a team that has those colours? 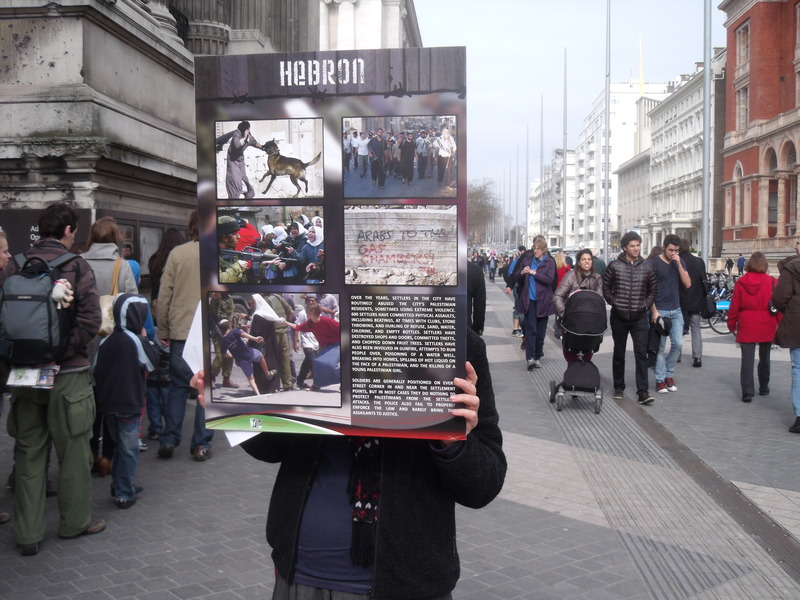 As one of the ‘…small pro-Israel presence outside the Natural History Museum…’ on Saturday, I just wanted to say how gratifying it was to see a sign saying that tickets for the Veolia photo exhibition – were sold out! So in spite of the haters and all their poisonous intentions, the British public voted with their feet and ignored the PSC in droves. It was a pleasure to see that they couldn’t close down Veolia, as they did Ahava. 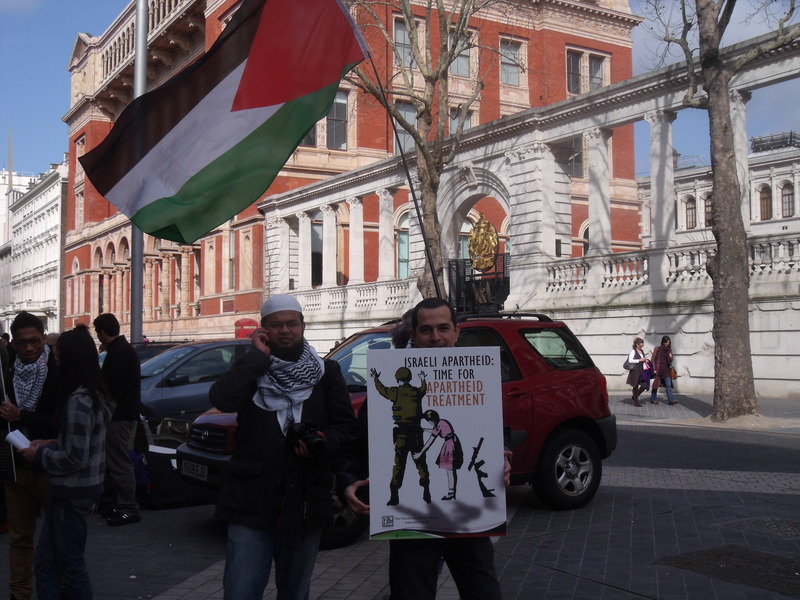 Well done to everyone who turned up – let’s keep exposing the PSC for what it really is, NOT a friend to the Palestinians – just an enemy of Israel and with some exceptionally nasty provincial Jew haters among its members. Of course she’s an Arsenal supporter. 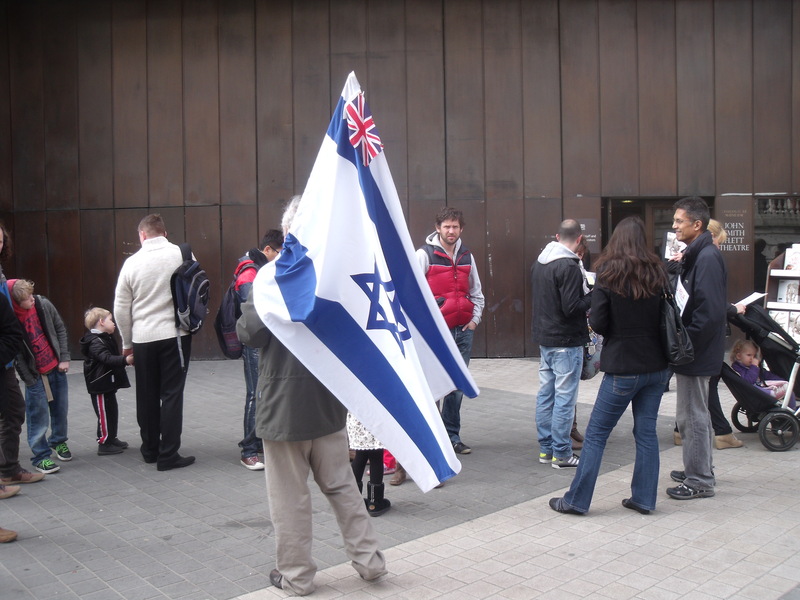 She’d hardly feel comfortable at ‘The Lane’ with all those Israeli flags flying proudly in the crowd! Though as a Jewish supporter of the Gunners myself, I feel it important to point out that there are many of us who regularly attend at the stadium named after a Gulf airline. To me it looks like ‘Alice’ is groping for something between the Israeli soldier’s legs and on finding it, she exclaims extatically: Allo, allo, what have we concealed ‘ere? If they’re willing to be human shields I’d be willing to test that theory. Kol ha-koved to you, Richard, as ever, for your sterling work! As for Arsenal – I find it sickening that so many British Jews seem happy to watch football in a stadium sponsored by a regime that is openly not just anti-Zionist but antisemitic. It should stick in their craw to even say: “I’m going to Emirates Stadium”. Have just heard on Fox (you won’t find it on the BBC) that Israel was the only country singled out for condemnation at the UN for violating womens rights. The motion was tabled by that bastion of human rights, Algeria. The only surprise there is that it wasn’t Syria, who sits on Human Rights at the UN, together with Libya. Naturally, all the Arab/Moslem as well as African, Asian countries, including China and India voted against Israel, with only America and Israel against. But what is worse, all the western countries abstained, including the UK, who have no compunction in selling their souls for a barrel of oil. What utter depravity; never mind the widespread human rights violations going on in the Arab/Moslem world: The public stoning and beheading of women, alleged adulteresses buried alive in the sand up to the head on the hearsay of one man, women maimed for life by acid thrown in the faces as well as honour killings which they brought with them to this country. Horrendous we abstained. Thanks, Rubin. The UN is well past its use by date! Its time to disband it and for its members to head off to the south seas. Its a total nonsense that our taxes go to prop up all those tinpot dictators who abuse their women – you don’t need to know the detail, just witness how all women have to be totally covered from sight as tough they are not human! The blond bint in the first photo is pure evil . Richard, I am sure you recognize that for people like Arsenal woman, these regular Ahava and then Veolia fixtures is football by other means. There is a sense of engagement with the other side that clearly mimics football supporters of opposing teams. 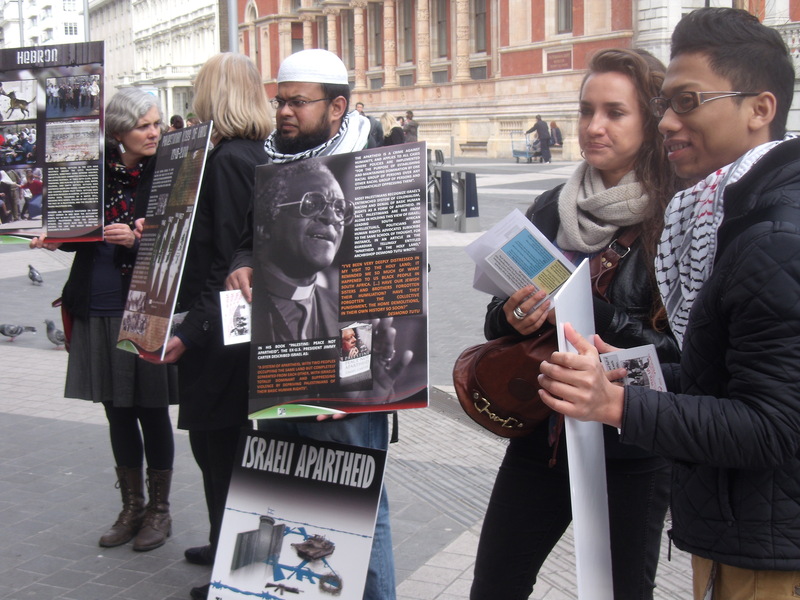 If our lot didn’t turn up, these demos would be a much feebler and hollow experience for the BDS lot. I do realise that you need to turn up to counter the misinformation they distribute to the unwitting public, but at the same time, we have to acknowledge it does enable and validate them. I am sure there is an emptiness now to their days where there are no home fixtures, and they will cast around for other venues to fill the lonely gap. Funny that, when we went to the Wildlife Photographer of the Year exhibition, on a weekday, not a sign of the PSC. Perhaps they were all pretending to be at a match. or maybe they had day jobs? Anyway, it meant that we didn’t have to think up clever replies to their propaganda. And the photographs were stunning. Anyone who didn’t ignore the PSC picket and go inside missed a treat.